Have you thought about making your wedding extra meaningful by helping the underprivileged children? 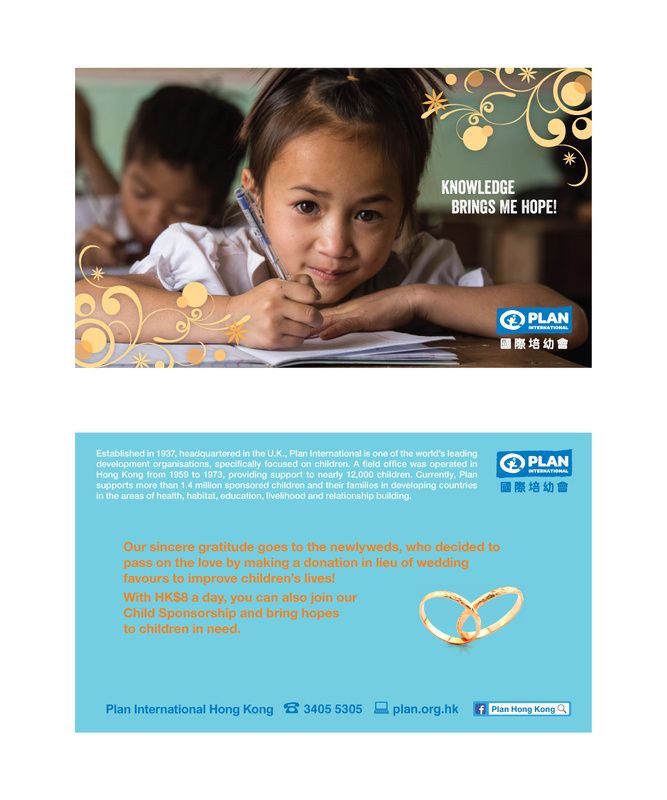 You can consider to donate in lieu of wedding favours cost to help needy children via Plan International Hong Kong. Plan International Hong Kong will prepare wedding cards to your guests to pass on the love. The donation will go to Plan International Hong Kong’s one-off projects helping underprivileged children in developing countries. Please contact us through [email protected] or call 3405 5305 for further details on the arrangements.